The Dot is Black does these fascinating representations of audio with triangles, example here. I love randomly generated fields, and the polygonal holes were intriguing to me, so I made one that has some similar features. 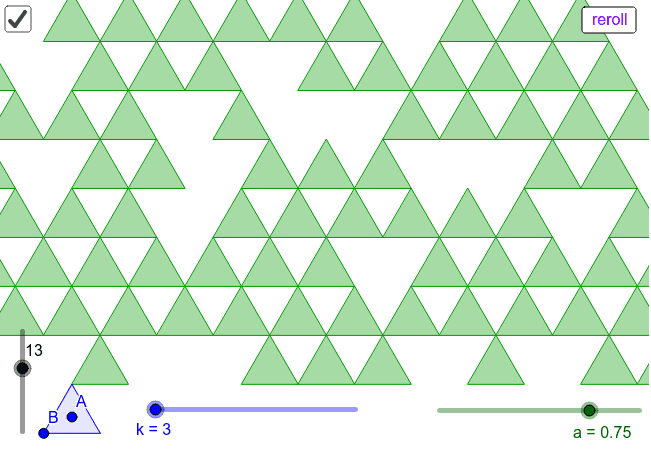 k controls the number of sides, a the probability that any given space has a polygon, and n the size of the array.